Due to the retirement of my former dentist, I was referred to Willis Dental, yet very reluctant regarding the type of quality care I would continue to receive. But to my surprise and relief, every visit has exceeded all of my expectations. I give Dr. Henderson & his congenial staff more than a "10" for their professionalism & expertise shown on every visit!! I absolutely love the staff and service at Willis Dental Care! They are the consummate professionals, always providing the highest quality of care, and the care is not rushed or hurried. 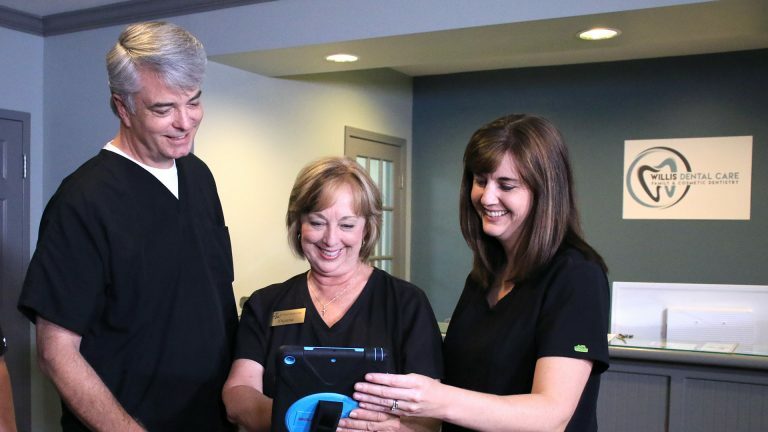 They take their time to ensure patients become knowledgeable about dental hygiene and health! Every person from the front desk staff to billing are kind and personable. I highly recommend Willis Dental Care! I absolutely love my dental hygienist Natalie! She has been taking care of my teeth since I became a patient! Thank you Willis Dental for being the best in the field! I had to have my old fillings replaced. Dr. Willis always does a fabulous job. It seemed to take no time at all and my ugly metal fillings were upgraded to a seamless white that matched my teeth perfectly! Marilyn is so capable! I love Willis Dental Care! Had a regular cleaning appointment with Hillary. I was treated courteous and made to feel comfortable. I felt that I received excellent treatment and all treatments were explained clearly. Great experience and I would highly recommend Willis Dental Care to all my friends and family! Great job Hillary! !